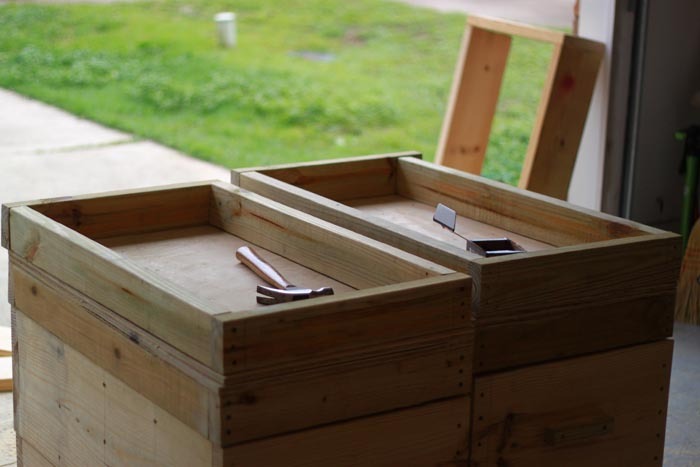 DIY Jerk Boxes, a project for the dedicated in training…and DIY. 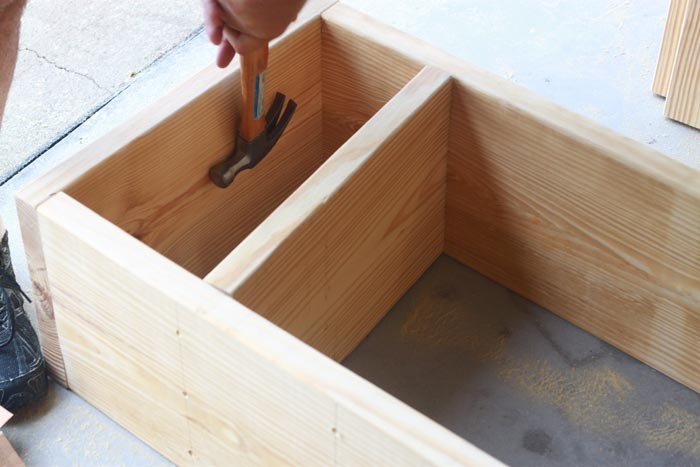 Before we jump into how to build these hefty boxes, let’s talk about a few things first. First…What is a jerk box? 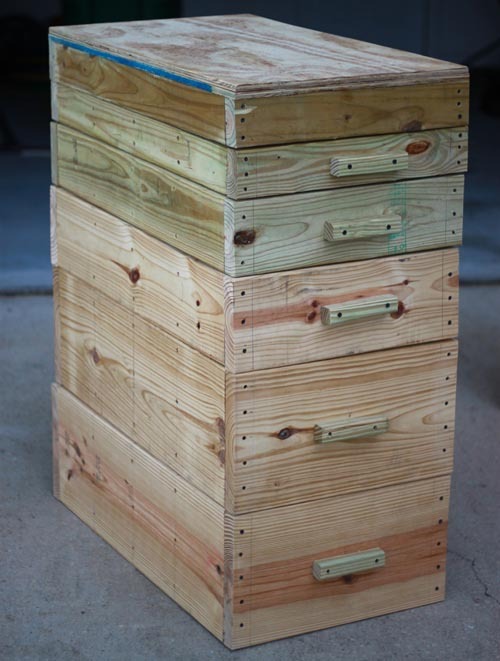 After I finished this DIY project, one of my neighbors swung by my house and said, “What’s that you built?”, and I said they were jerk boxes, and she said, “Oh, so when someone is a jerk you put them in that box?”. Of course she was kidding, but on the same token, she didn’t fully understand the point of jerk boxes, so let me briefly explain. Jerk boxes also allow you to “jerk” heavy weight overhead and bring it back down to the boxes as opposed to the ground or your back. This allows for high rep jerks and heavy jerks without having to re-rack or risk hitting your spine. Obviously, dependent on your style of training, they can be quite useful. 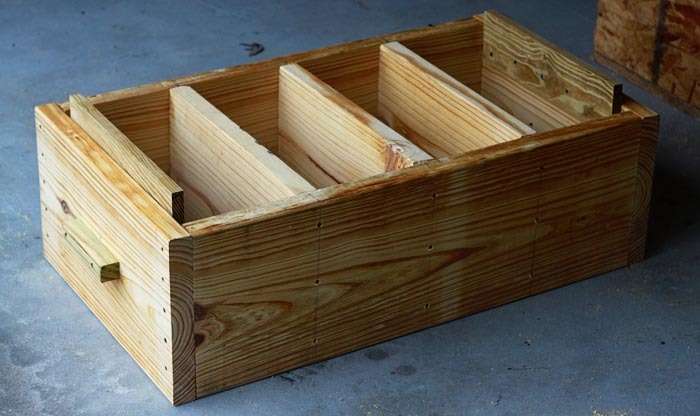 While that is the primary purposes of jerk boxes, I have been using them for a lot more, and you can too. I have even used low boxes to act as my “safety bars” when going really heavy on squat. Jerk boxes are pretty awesome. First, I stand behind everything I build (not everything you build), and I fully trust the jerk boxes I have built for regular use in my garage gym. However, I also know who might be in the market for some DIY jerk boxes, so I would like to let those of you who don’t know me, know a little bit more, to assist in deciding whether these are the right plans for you. I am a one man shop, and my jerk boxes are used in a “one man shop”, I did not build these for commercial use and do not have any data as to how well they would hold up with a ton of people using them each and every single day. I am not a Weightlifter, in the Olympic lifting sense of the word. Basically all I mean by that is I cannot jerk 450 lb. over my head and so I do not know how well they would hold up to a weightlifter pounding insane weights on them daily. These things will take up quite a bit of space in your garage…you have been warned. Ok, got the disclaimers out of the way. Honestly, these boxes are sturdy, I thoroughly tested them at 285 lb overhead and dropped many times on the boxes. I also did some lighter high rep stuff to make sure the tops could take a beating. So far, the jerk boxes are holding up great. This will put your boxes somewhere between 43.25″ and 44″ depending on how well they stack. Another thing to note is the 3.5″ box can be viewed as optional depending on how tall you are. If you are 5′ 11″ tall and above, build it. Below 5′ 11″ tall, it is optional. 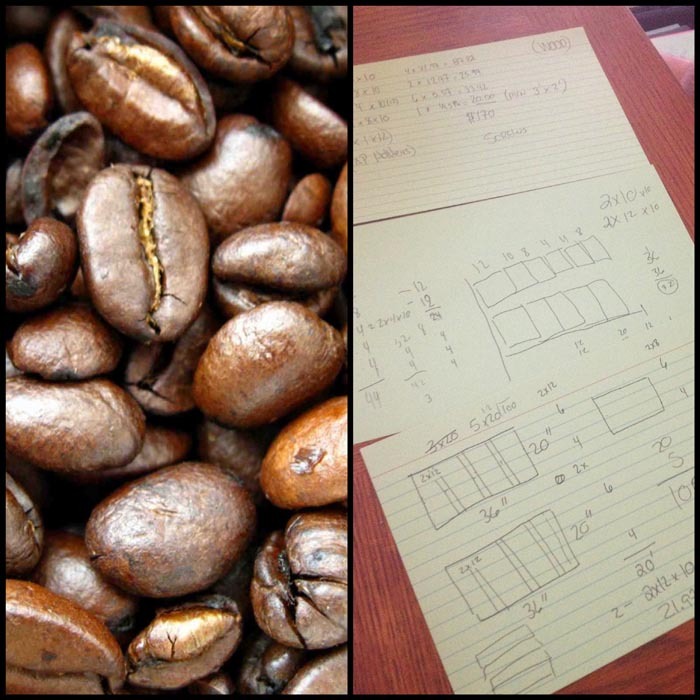 Oh as for the “+ Coffee”, whatever source of artificial motivation you use…it may be time to load up on your favorite beverage; I recommend Bullet Proof Coffee :), this is quite a project. The picture above is a little more wood than you will actually need. I experimented a little bit and tried to make it the strongest structure while using the least amount of wood, A.K.A money. If I was short a board I apologize in advance for the trip back to the hardware store :), but, mathematically, this should be what you need. To clarify, you will follow steps 2-4 for all boxes; meaning all four of your 11.25″ boxes, both of your 7.25″ boxes, both of your 5.5″ boxes and both 3.5″ boxes. Step 5 explains how to build the tops. That will basically be your frame pieces. 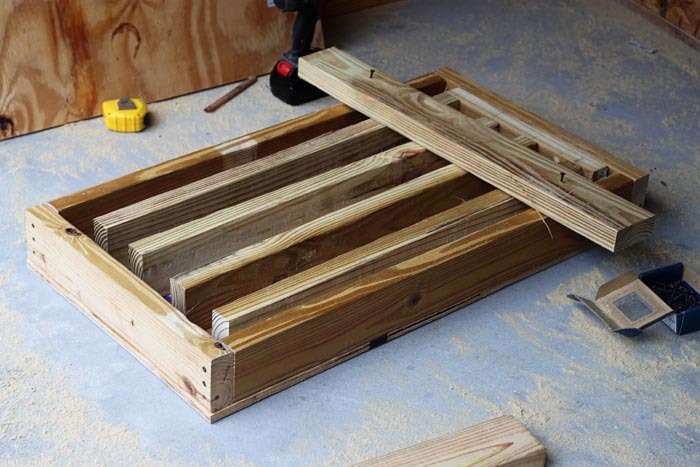 Put your 33″ pieces and 20″ pieces together using 3-5 (depending on board length – see main picture) 3″ screws. 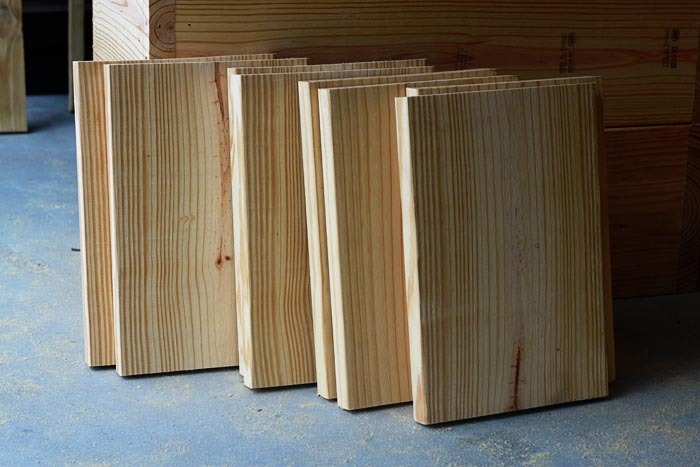 The 33″ pieces go on the inside of the 20″ pieces, which will make for a perfect 36″ x 20″ frame. 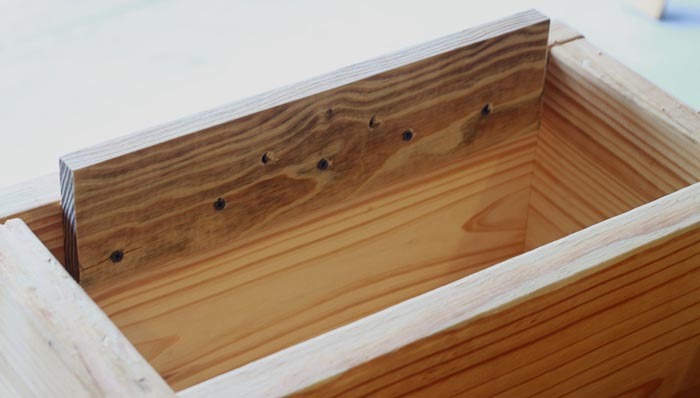 Note: Since 3″ screws can be hard to work with, all holes for this project were pre-drilled. Now that you have your frame, you will need supports that will go on the inside of this frame. These inside support pieces will, and should be, a pretty tight fit, and a little wrangling may be in order, as seen in the hammer picture above. 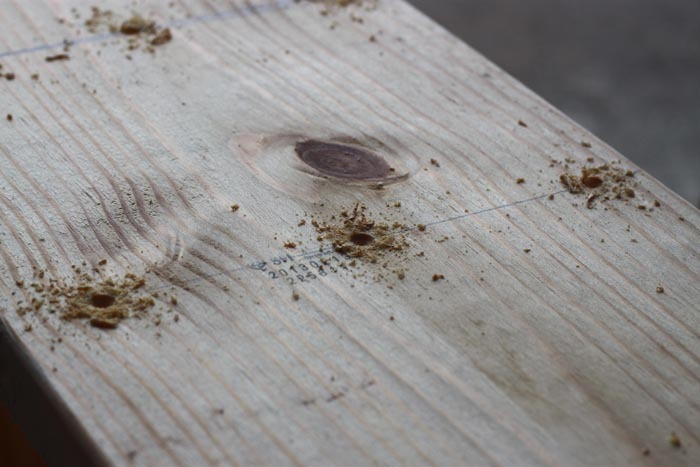 Measure a spot every 8.25″, that is where each of your 17″ pieces will go. The “lips” will hold the boxes from sliding around when you drop the weight on top of it. There will be two lips per box, except for the tops. **Make sure yo alternate in a zig zag pattern like above (two screws). If you put all the screws in a straight line on the lip, it will move around too much. Measure to be in center of the box. Build frames on top of frames. As I stated earlier, wood is not perfect. If you build frames on top of other frames they will fit snuggly with very little gaps. If you build them on the perfectly level ground they will not fit as well. 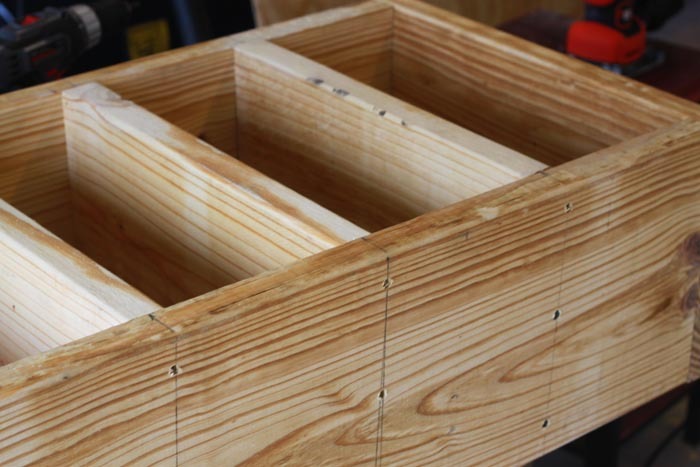 Build one entire box – lips, handles and all – see how it all works; then you can pretty much start an assembly line process for the rest of your boxes. It gets a lot easier and faster after you fully understand how one box works. 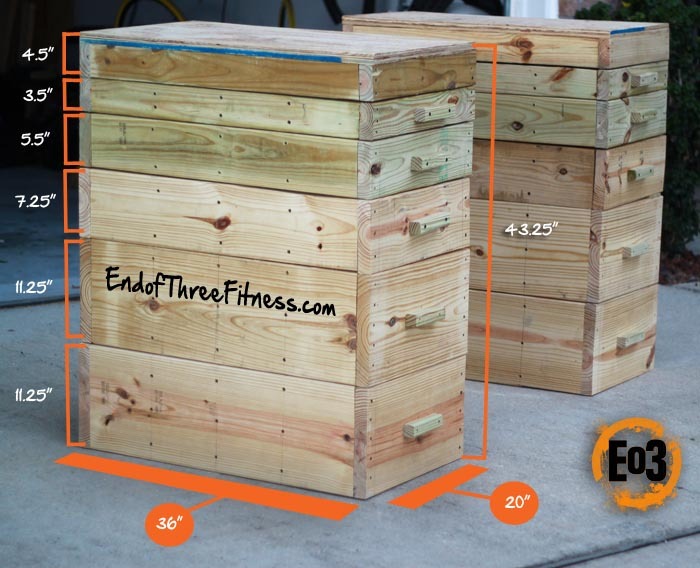 The End of Three Fitness DIY Jerk Box tops are double plywood, 2×4 supported tops. You will see a lot of jerk boxes with rubber padding on top to help lessen the amount of noise and to help absorb some of the impact. We decided to skip the rubber padding, as it is not necessary and will only add to your costs, but the choice is yours. The top is made out of 2 x 4’s and plywood. The inside supports need to be evenly placed like in the picture above. 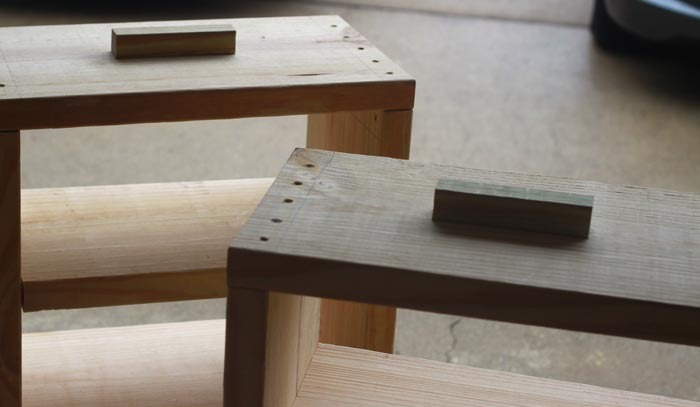 There will also need to be a 1.5″ gap on each short side of the tops. This will make the “lips” from the other boxes fit easily to the tops. Complicated part of project: Put on your thinking caps!! Now, you will need to evenly add the 4 x 30″ pieces. 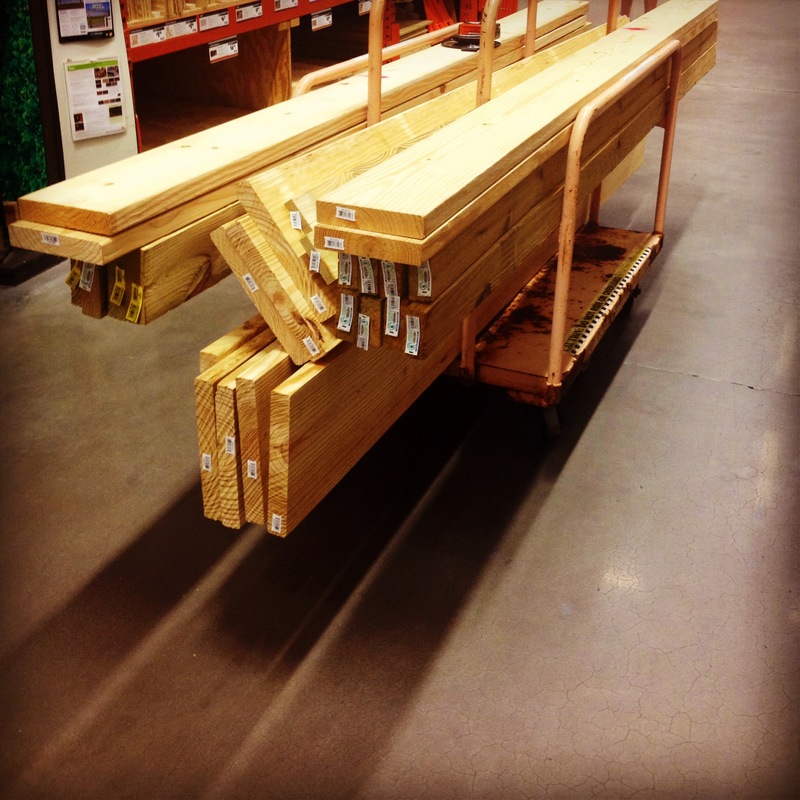 What we did was evenly place all the 2 x 4’s. We then took an extra 2 x 4 and lightly drilled it in the box to hold all 4 pieces in place (shown in picture above). 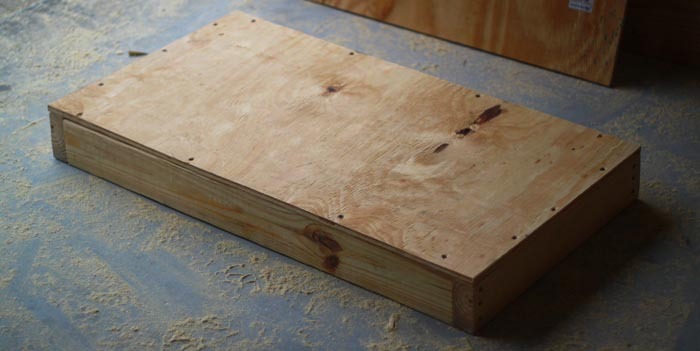 After that, just stand the box up and drill 1.5″ screws through the first sheet of plywood into the 2 x 4’s. Your structure is almost complete. 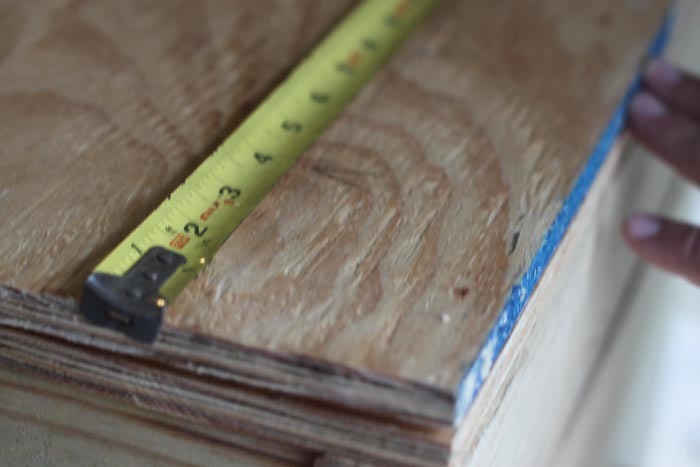 After all 30″ 2×4’s are secure, add the 2nd sheet of 36″x20″ plywood to the top of the other piece of plywood. You now have a completed top. That’s about it for this project. It is a lot of cutting and screwing, but fairly simple. I did not add wood-stops to the top of my boxes. My boxes are pretty level, and the weight doesn’t roll of the box when I place it on top. However, for safety reasons, or if your garage has a slight grade, just screw some pieces one the top, both front and back and that problem will be taken care of. I thought this would be a problem because I have heard of others having this problem. Some people say their jerk boxes, “bounce all over the place” when they slam heavy weights on top of it. I am not having that problem at all. Our “lips” keep the boxes from moving front to back, but I haven’t even really had side to side problems. If your boxes do not end up as level as you would have liked and they do bounce side to side. Just add more lips to the sides just like you did to the front and back. Problem solved…if it is a problem. Good luck in building your Jerk boxes! If you need help with anything, add it to the comments and I will do my best…BUT…don’t be the guy who didn’t read the entire post and start asking questions that have already been addressed.